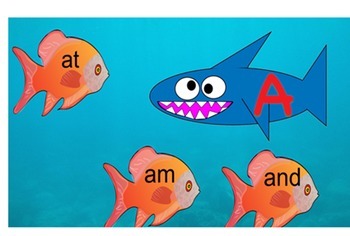 Students will enjoy helping their "sight word" fish swim away from the sharks. Students read fish sight word, touches the fish sight word and it "swims" off the board. Sight words are focused on a kindergarten level.